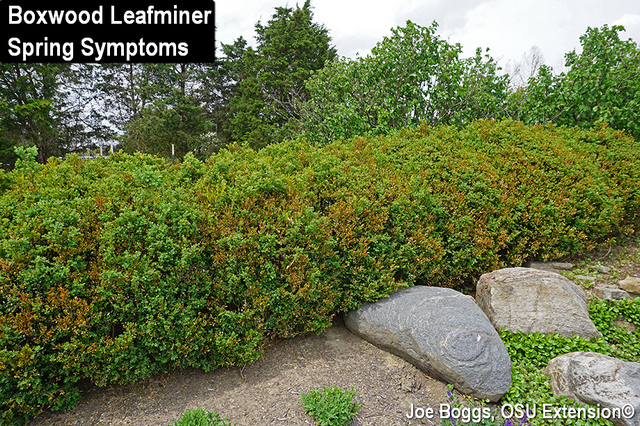 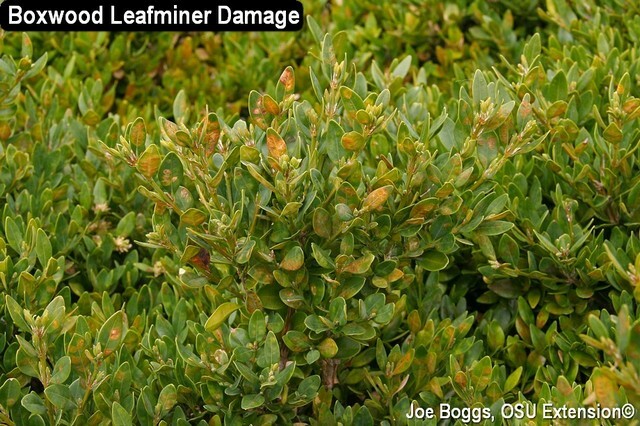 Some discoloration was caused by salt damage either directly with "ice melt" or rock salt inadvertently thrown onto foliage, or indirectly with "salt spray" carried onto foliage from nearby roadways. 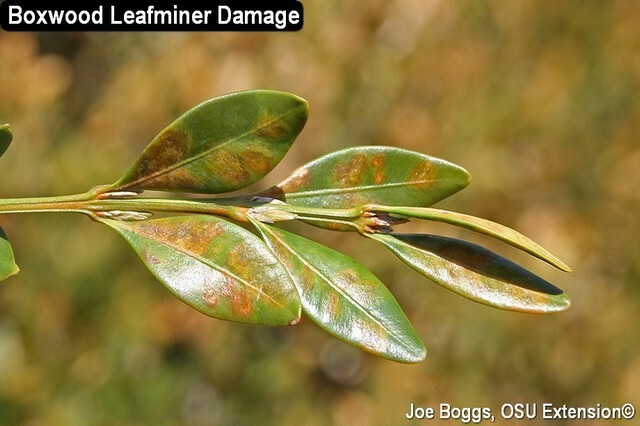 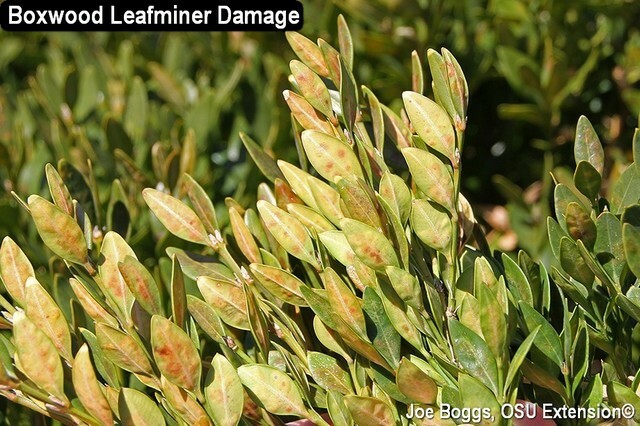 Salt damage is sometimes, but not always, concentrated on one side of the plant. 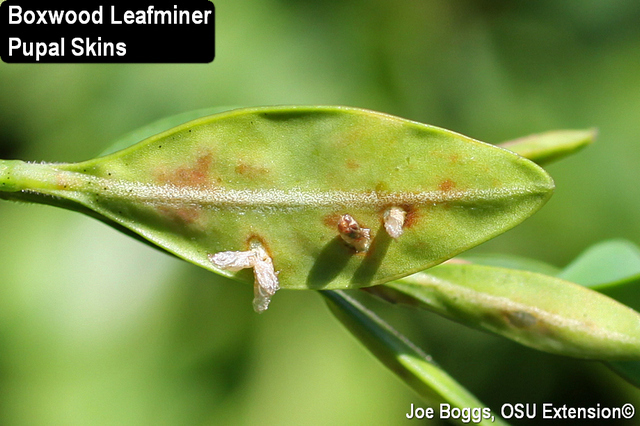 This non-native midge fly was accidentally introduced into North America from Europe in the early 1900s and is now common throughout Ohio. 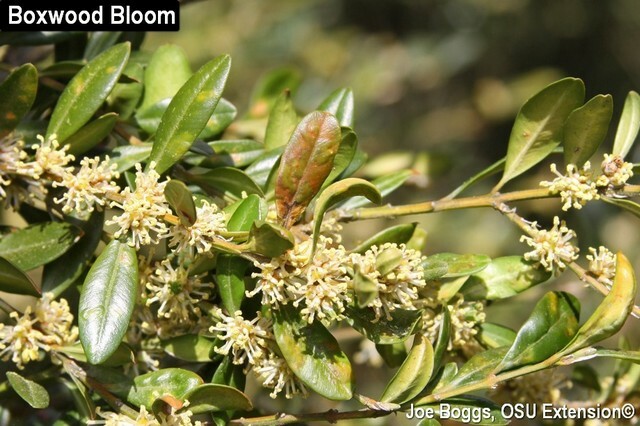 Adults emerge at around the same time red horsechestnuts (Aesculus×carnea) and doublefile viburnums (Viburnum plicatum) are in full bloom (440 GDD). 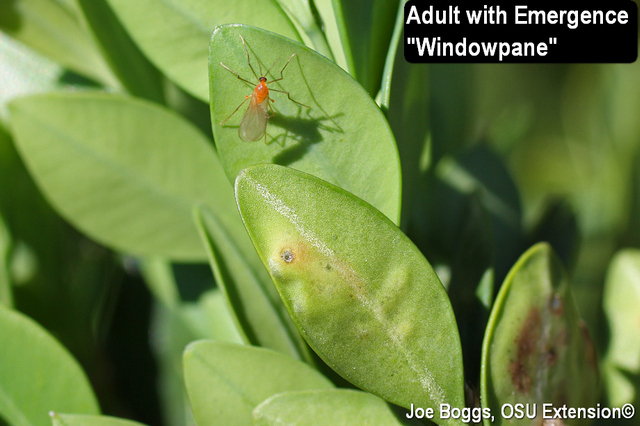 Except for their bright orange abdomens, the adults superficially resemble miniature mosquitoes. 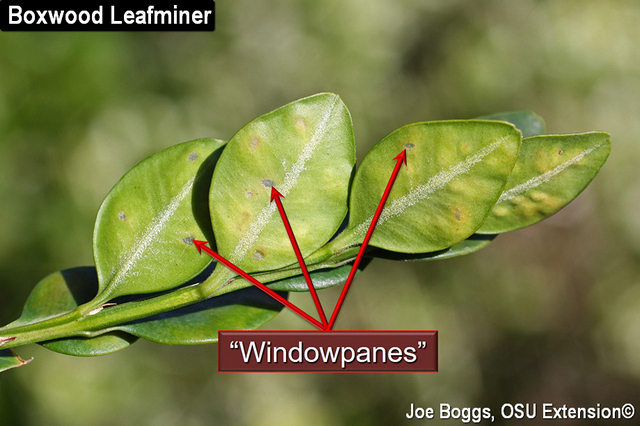 A close examination of the leafmines at this time of the year may reveal small translucent "windowpanes" created by the larvae in the lower leaf surface. 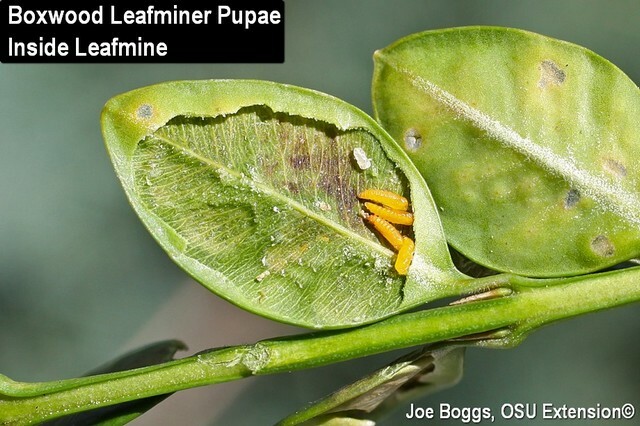 The pupae will wiggle through these weak points to ease the emergence of fragile adults. 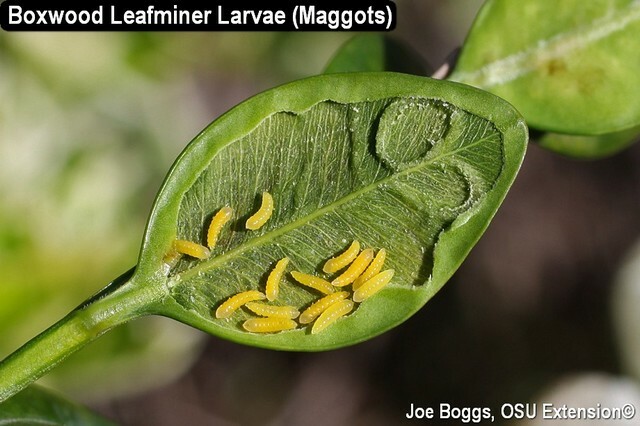 This pupal activity is responsible for one of the most unusual features of this midge fly: reports of hissing, crackling, or rustling sounds coming from heavily infested boxwoods. 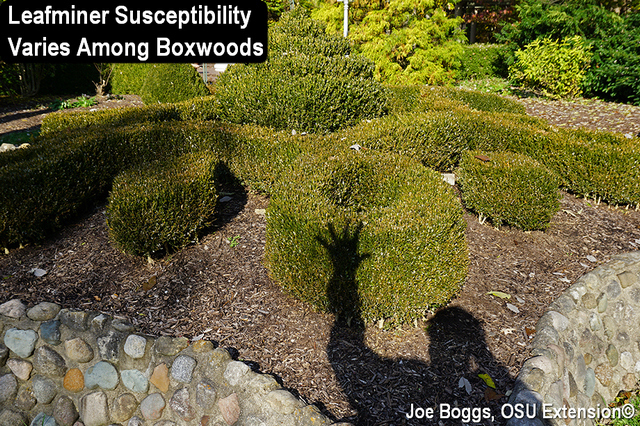 I've reported on this strange phenomenon in past BYGLs. 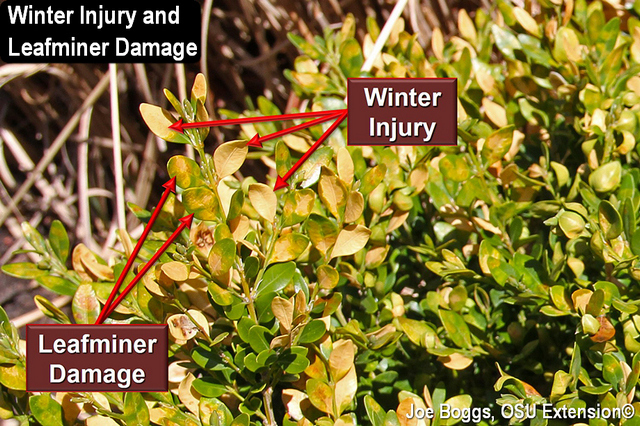 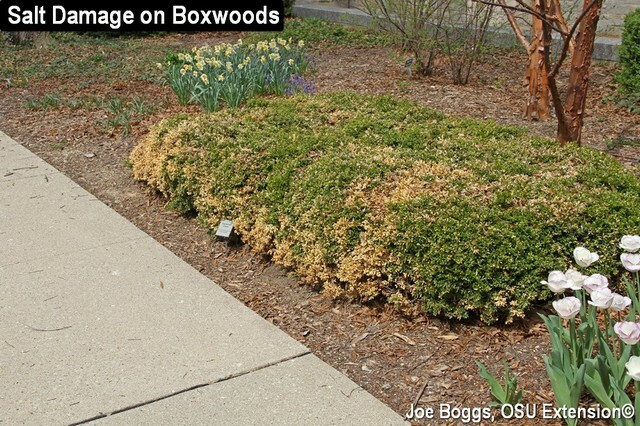 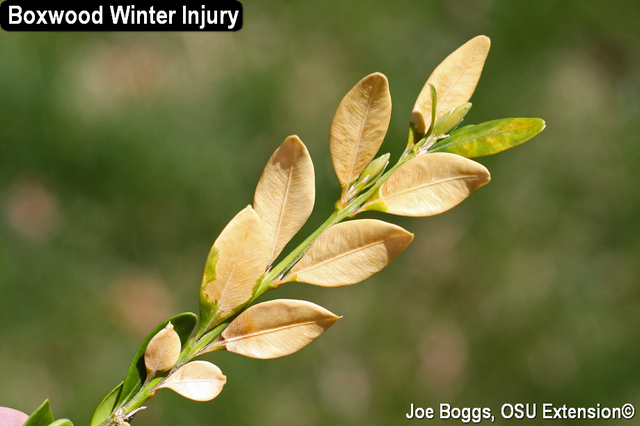 So, reports from gardeners or landscapers that they've heard boxwoods going snap, crackle, and pop should be taken seriously as the odd sounds are an indicator of a heavy boxwood leafminer infestation. 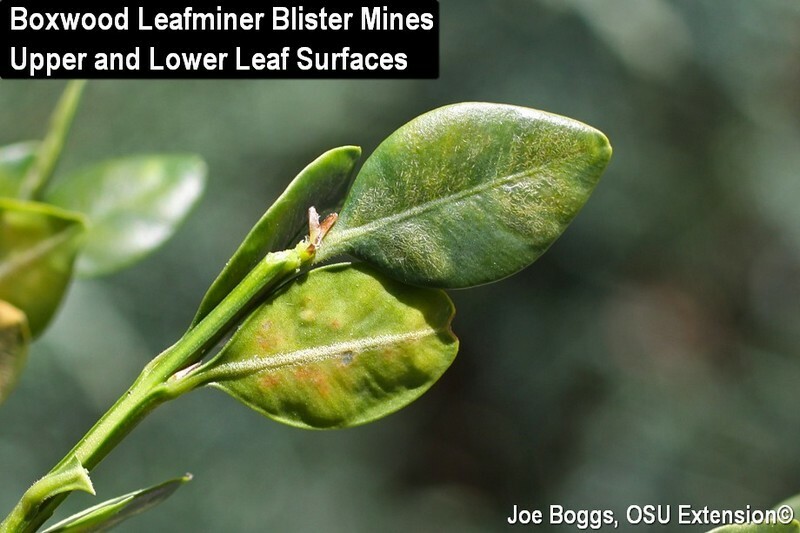 Plant selection provides a more long term solution to the depredations of boxwood leafminer by removing insecticides from the management equation. 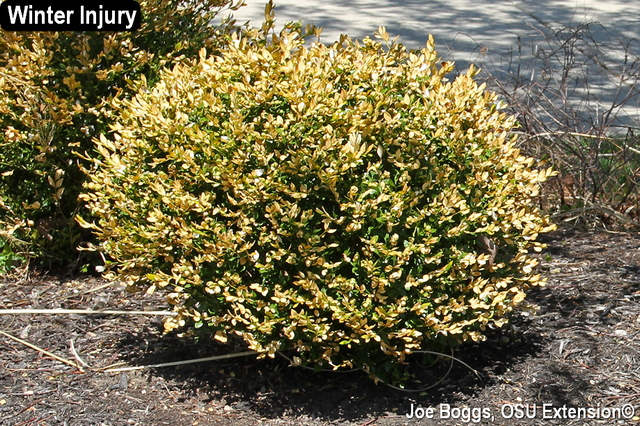 A helpful research-based listing of the relative susceptibility of boxwoods to the leafminer was published in 2014 by the American Boxwood Society in their "The Boxwood Bulletin" [see More Information below].